We’re about to tell you a beautiful story. Rooted in the Biellese Alps with our branches reaching for Italy, Europe and much further. We’ve always been fond of stories, relations and innovation and our company aims at being much more than a mere Communication Agency. We’re about to tell you why. It all began in early 2013, when we, the current BTREES co-founders (Christian Zegna, Lorenzo D’Amelio and Davide Paganotti), decided to join forces and complementary competences to create the Socializers Social Media Agency. .
By introducing you to how we’ve become who we are we want you to know something about us as a company. One of the key steps for us was the funding we received from SELLALAB, a startup accelerator of the Banca Sella Group, back in December 2013. The warm welcome and the wonderful tools we received were essential to develop our company, that aimed at promoting stories through social media and communities. Our path continued until spring 2015, by growing continuously, both individually and as a group. After facing many obstacles, difficulties and putting so much effort into that, it’s quite hard to summarise everything in a few lines. It was right in that moment, a year and a half ago, that we found Carlo Robiglio, an entrepreneur with whom we had already productively cooperated in the past. When he became our Enterprise Advisor, we experienced a major breakthrough, since ho took part to the official establishment of our innovative Startup SRL through the Ebano Group, which he chairs. A couple of years since our project had started, our initial vision was changing thanks to constant new inputs. It was then that we though of BTREES, with a rebranding designed together with our Creative Director Marilena Florio, to provide new lymph for our ideas. 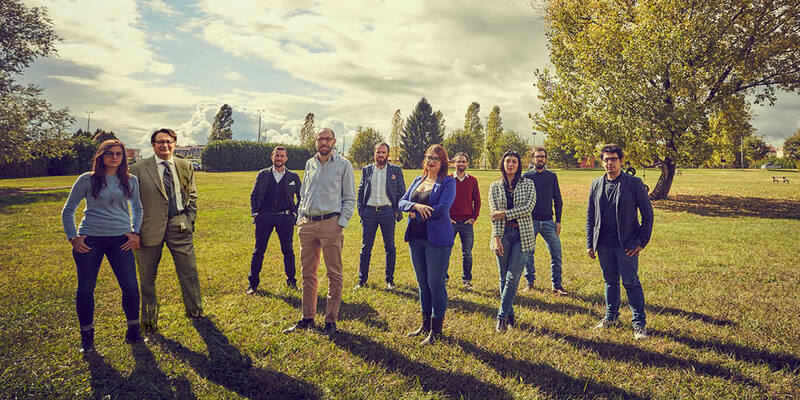 Nowadays our team is made of 10 extraordinary professionals, besides the 3 Co-Founders and the Enterprise Advisor: Filippo Bondi, Antonietta Marrazzo, Anna Baglione, Davide Palermo, Giulia Casoni e Luca De Gasperin. We also collaborate with a variety of companies and partners to satisfy any type of necessity our customers could have. We have three operational offices, one in Biella (at SELLALAB), one in Novara (at Ebano Group), and one in Turin (at Rinascimenti Sociali), providing national and international communication activities. 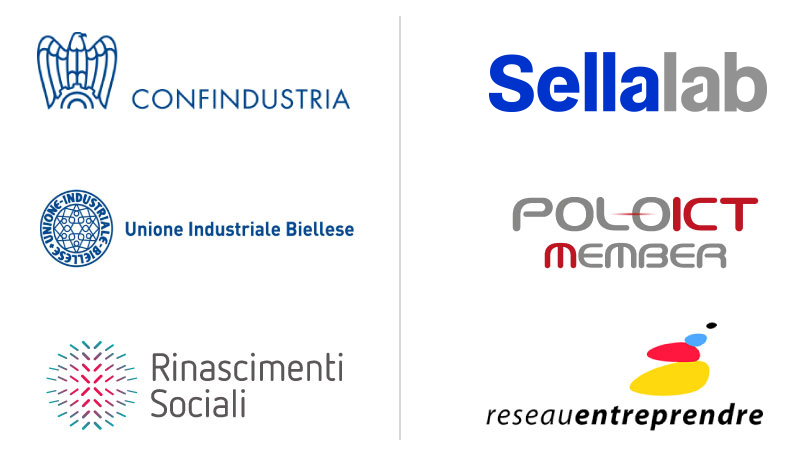 We are members of Confindustria Biella, Reseau Entreprende, Piemex and Italia Startup, more and more committed with medium and big-size companies to offer Social Media Marketing services. We are also oriented towards business innovation and product design. We are a New Media Agency, a public relations company which aims at exploring and sharing new paths while keeping a startup-model based on daily contact and lifelong learning. So far, we have cooperated with more than 100 companies to build new online communities and we currently manage a monthly budget of 80,000 euros for advertising, with an expected total amount of 1 million in 2016. Through our support, each month the companies we work with reach more than 30 million people around the world. We would, therefore, like to thank our customers, partners and anyone who has helped us during this period of growth, difficult but thrilling. Remembering where we come from and where we are rooted is essential, but it’s even more to share our destination, our vision of the future and what we want to bear fruit. BTREES is an incubator of ideas, we give lymph to companies by seeding innovation. We create products and services to tell new industrial springs. We are committed with passion to make relations fruitful through forests of solutions. As of now, we offer, through different partnerships, 6 types of service: Social & Web Communication, Incubator, School, Design, Entertainment and Publishing. We would like you to visit our website and find out more. We cultivate with enthusiasm our creative spirit by sharing collaborations. We believe in the authenticity of the positive values that can change the world. We are committed to a lifelong learning project, which allows us to maintain the soul of travelers by exploring new opportunities. Relationships, creativity and innovation are our keywords because we believe in the ability to put what we imagine into practice. That’s why we believe in initiative, which helps us to improve the quality of everyone’s life. It’s time to give value to your story, your idea, your company. We want to do it with you. That’s our motto: MAKE IT FRUITFUL! We represent a brilliant mix of experiences and lively ideas. We combine competences built throughout our years of activity in the field of web and digital communication with the enjoyable production of new creative ideas. c.f./p.Iva 02447250032 | C.S. €20.000,00 i.v.